David Crosbie, Thursday, 22nd September 2016 - The indefensible impost of jurisdictional fundraising regulations is a discredited and dysfunctional exercise in wasted resources, writes David Crosbie, CEO of Community Council for Australia. David Crosbie, Thursday, 25th August 2016 - Maybe we all need to “toughen up”, show real courage and take decisions that will make us a safer, fairer and more just society writes David Crosbie, CEO of Community Council for Australia. David Crosbie, Thursday, 11th August 2016 - More revelations of horrific child abuse at the Nauru detention centre following on from the shocking footage of abuse in the Northern Territory youth detention centre Don Dale raise some fundamental issues for the charity and Not for Profit sector, writes David Crosbie, CEO of Community Council for Australia. David Crosbie, Thursday, 28th July 2016 - Brexit, Trump and Hanson have fueled a robust discussion about safety and terrorism, disadvantage and elites. It’s an ongoing discussion the Not for Profit sector needs to actively participate in, writes David Crosbie CEO, Community Council for Australia. David Crosbie, Thursday, 14th July 2016 - A new Productivity Commission inquiry into Australia’s provision of human services has major ramifications for the future of the charities and Not for Profit sector, writes David Crosbie CEO of Community Council for Australia. David Crosbie, Thursday, 5th May 2016 - Opinion: The more I read about the budget and consider what it means in practice, the more it becomes clear that Australia is moving towards a user pays system for many of our health, education, housing, and other previously government run services, writes Community Council for Australia CEO David Crosbie in response to the treasurer's pronouncements. David Crosbie, Thursday, 28th April 2016 - Opinion: Amid all the posturing and rhetoric that comes with federal budget night, the Not for Profit sector will be focusing on whether this government’s previous pattern of unwelcome savings measures continues, writes David Crosbie, CEO of the Community Council for Australia. David Crosbie, Thursday, 3rd March 2016 - The government’s proposed regulatory changes to private charitable foundations are not about encouraging philanthropy or strengthening the community, but about appeasing a handful of powerful friends, writes Community Council for Australia CEO, David Crosbie. David Crosbie, Wednesday, 11th November 2015 - Merger may be a dirty word in many organisations, but that should not stop consideration of possible consortia, partnerships, and collectives, writes the CEO of the Community Council for Australia, David Crosbie. 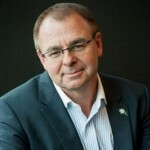 David Crosbie, Tuesday, 20th October 2015 - The growth rate of Australia’s Not for Profit sector is under challenge and those involved have a responsibility to not just trade on public trust and confidence, but to build it, writes Community Council for Australia CEO, David Crosbie.